News › Is A Slow Network Getting in The Way of Your Business? Very few things in life are as intensely frustrating as slow network speeds. 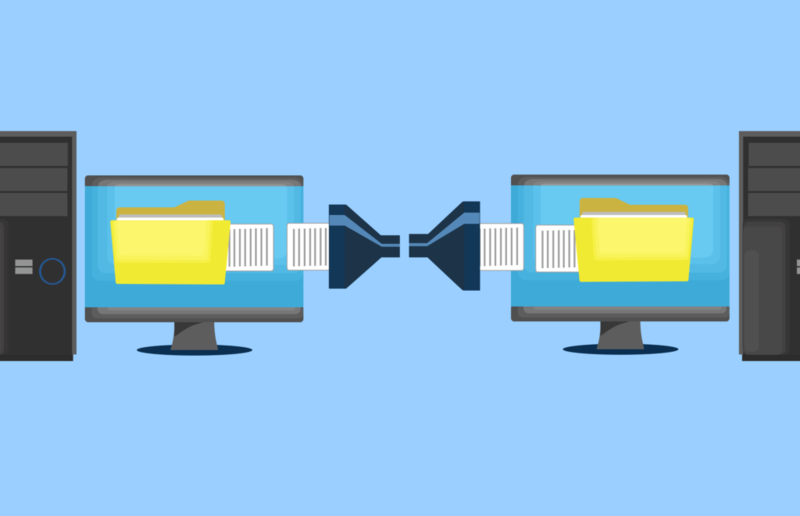 Whether accessing a shared database, sharing files between computers, or sending a file to print; waiting for transfers can seem to take an eternity. Worse still, these business breaks can keep both clients and staff waiting and get in the way of the productive business day. Every time you save or retrieve files from another computer or network storage device, file transfers have to be made over the network. Depending on your IT setup files can pour over the network with the ferocity of a fire hose, or trickle between machines as if dripping through a drinking straw. Poor network speeds are often a critical bottleneck that slows down the entire IT system. If a slow, frustrating, and unreliable network sounds like your office setup then there are many available solutions we can use to help. Often, offices maintain networking hardware that is as old as the premises they are in or the businesses themselves. Components can be left in place long after their suggested expiration date. If it isn’t broken, don’t fix it commonly rules as long as some working connection, however slow, still remains. Yet, outdated hardware in key areas can often slow the entire system down. Even when the rest of the network is capable of ultra-high speeds, a single bad component can bring the entire network to a crawl. Sometimes if it isn’t broke, it still might not be working to its full potential. Even peripheral devices throughout the network can cause traffic to slow. A badly installed device may become lost from the network or send out an overwhelming number of messages that spoils network traffic. Defense against errors and vulnerabilities is more simple than many think. Often just one or two small upgrades is all that is needed to unlock the full speed potential of the network. For some businesses adding a dedicated server is an ideal solution that can balance the IT workload. Access to centrally shared resources often benefits the entire organization by eliminating redundancy. A network server is built with efficiency and reliability in mind to keep your business running at full capacity. By pooling resources for everyone to use, work is evenly shared and centrally available to prevent bottlenecks in the system. Reduced network loads, improved efficiency, and faster transfer speeds mean that higher productivity becomes the new normal. Moving resources outside of the office can work for many businesses too. Where high speed, low-cost internet services are available, moving your work into the cloud can be a highly cost-effective solution. Software packages such as Quickbooks offer finance and accounting packages for operating in the cloud. Similar Suites such as Microsoft Office offers services for creating and sharing documents with cloud resources. Both packages eliminate the need for many of the network operations that we use every day. For many applications such as Quickbooks huge databases sometimes gigabytes in size are required. It is these types of applications where the advantage of the cloud becomes clear. To use this locally, huge database transfers keep the application up-to-date daily. These transfers across a local network are time-consuming and clog up vital resources for the firm. Yet, the same application in the cloud requires only a simple web page for each user. Instantly, looking up finances and editing documents becomes as simple as checking your email. With services moved to the cloud purchase cost and maintenance of expensive network hardware are reduced too. If your IT is starting to get in the way of your business and your network is running too slow, give us call on 01228 576090 or 01228 217100 and we’ll see what we can do.